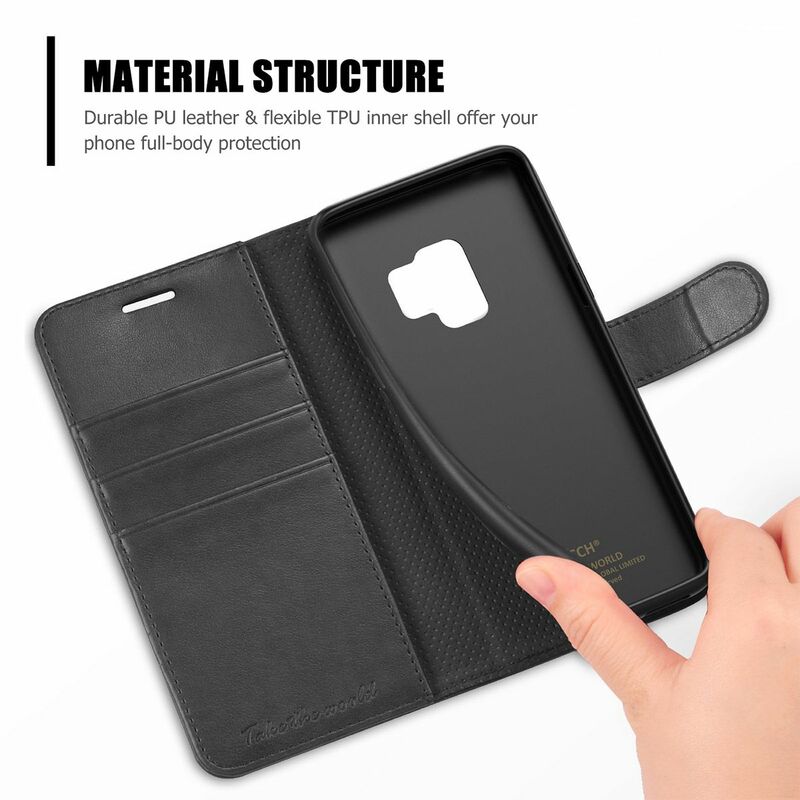 Classic Galaxy S9 Wallet Case is a Multi-Functional protection case for perfectionist. 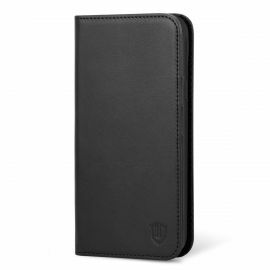 The Classic Wallet Case with Unmatched workmanship, beautiful appearance, perfect stitched, precise cutouts. 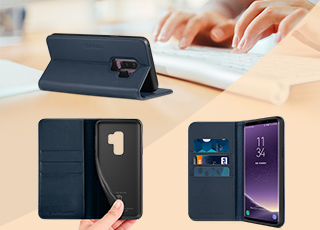 Provide 3 cards and cash storage with hands-free kickstand function. 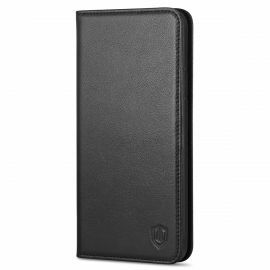 Magnetic closure but without a clasp is a unique design, make the wallet case looks simple and elegant. 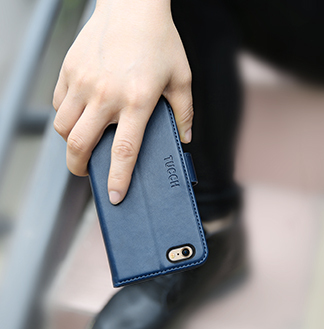 Based on the design of top microphone of the Galaxy S9, you don't need to open the wallet case's front cover to talk, easy and more convenient. 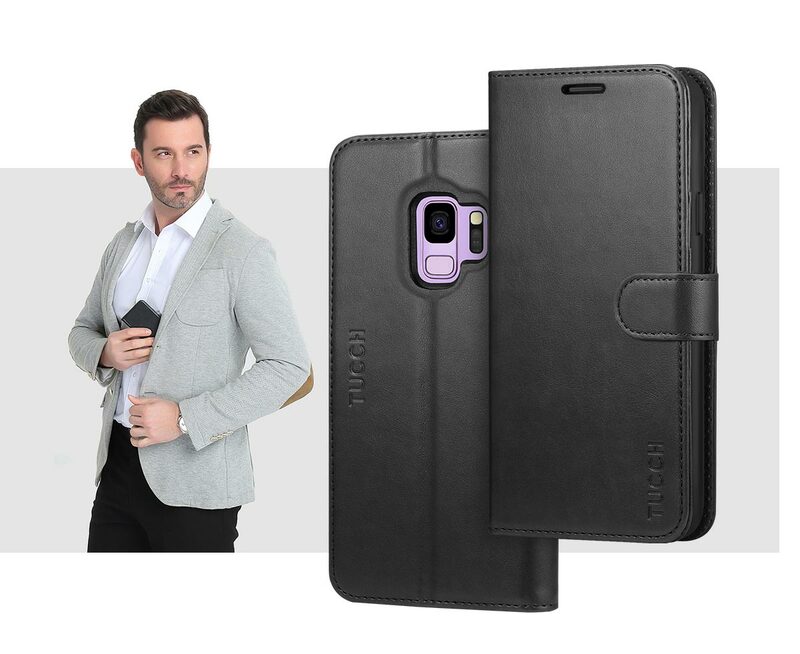 Let enjoy the functionality and classic wallet case with your Galaxy S9 smartphone. 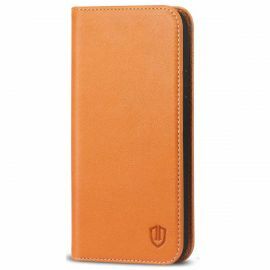 - Handcrafted from PU Leather with soft TPU case. 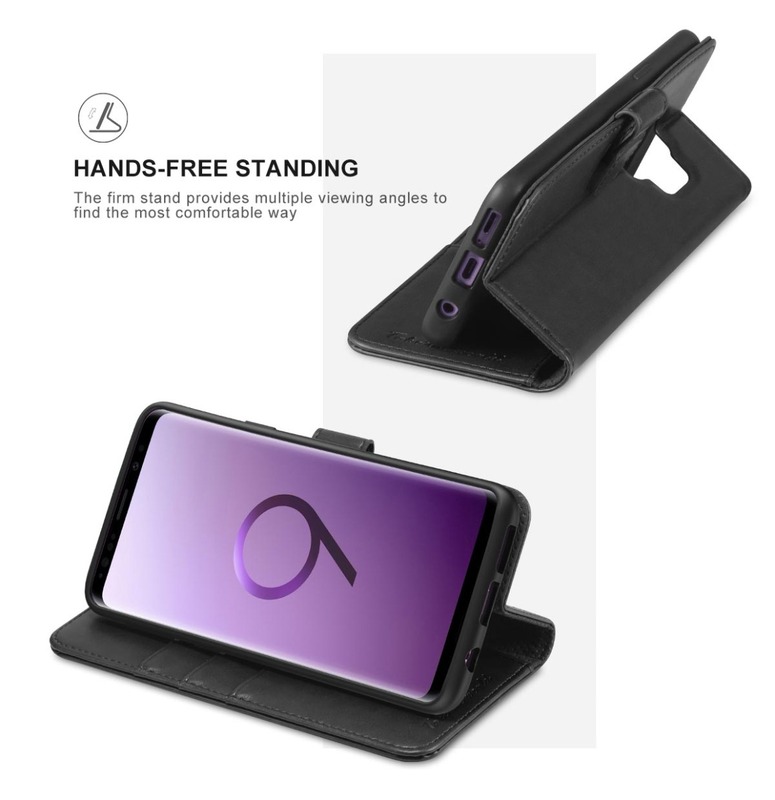 - Kickstand design, standing horizontally with adjustable viewing angle. 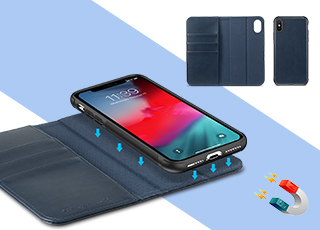 - Magnetic closure with strong magnetism. - With 3 card slots and additional cash storage. 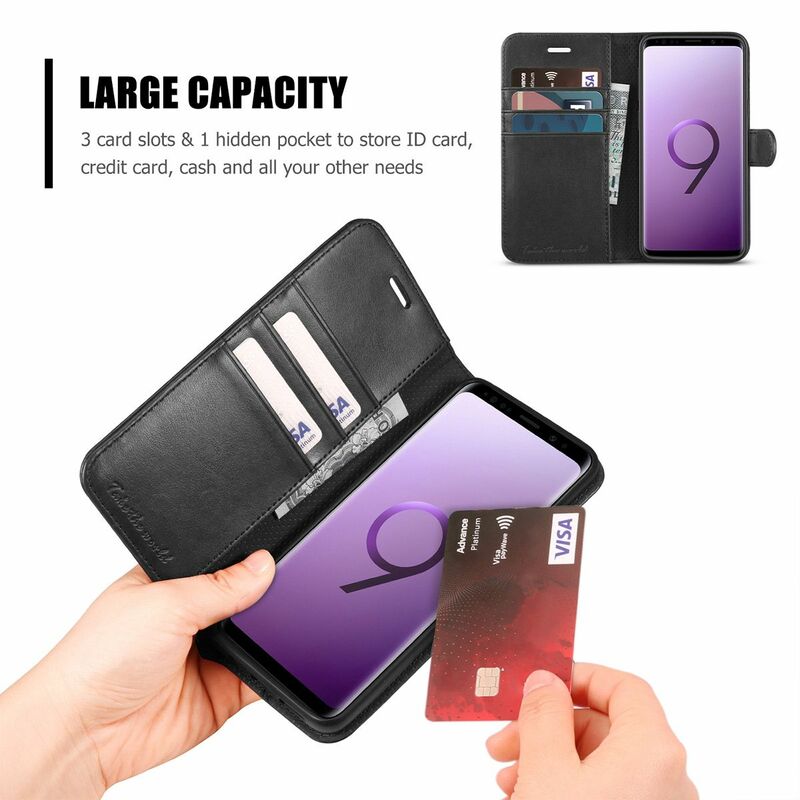 You added TUCCH Galaxy S9 Wallet Case - Galaxy S9 PU Leather Case with Kickstand and Magnetic Closure to your shopping cart. 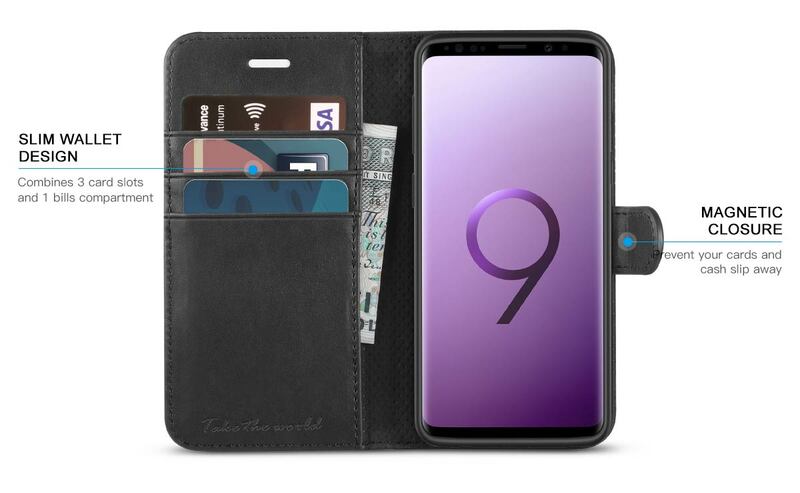 Why buy the Galaxy S9 Wallet Case? 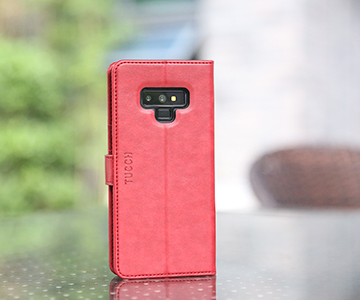 The classic Galaxy S9 wallet case with beautiful premium PU leather, accurate and uniform stitch give you a very comfortable feeling. 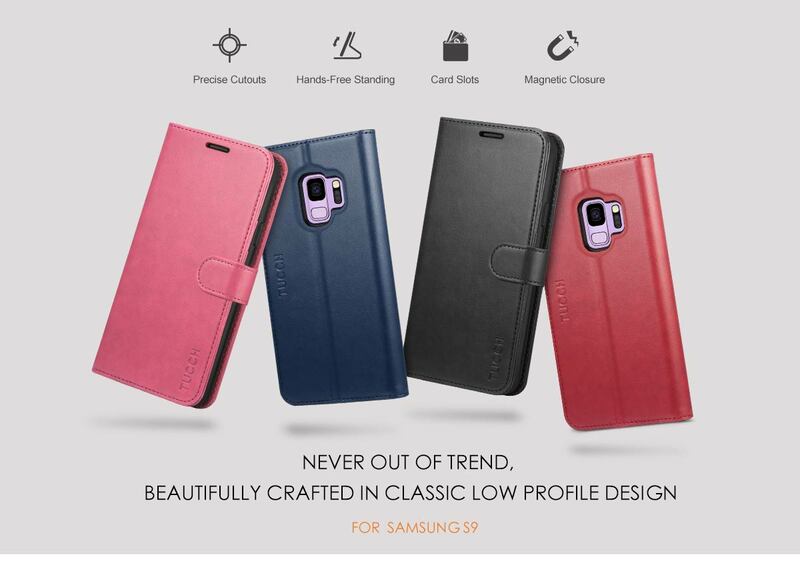 The flip design, soft TPU inner case and magnetic closure allow the Galaxy S9 case to provide strong protection for smartphones. 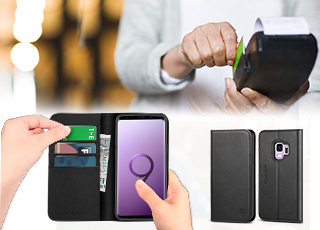 Multifunctional wallet design brings more convenience to your life. 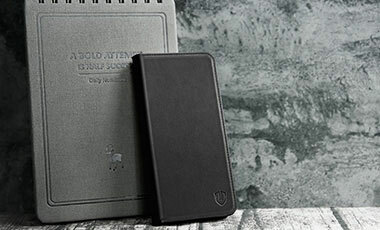 Three card slots and a cash pocket allow you to go out without having to carry a bulky wallet. 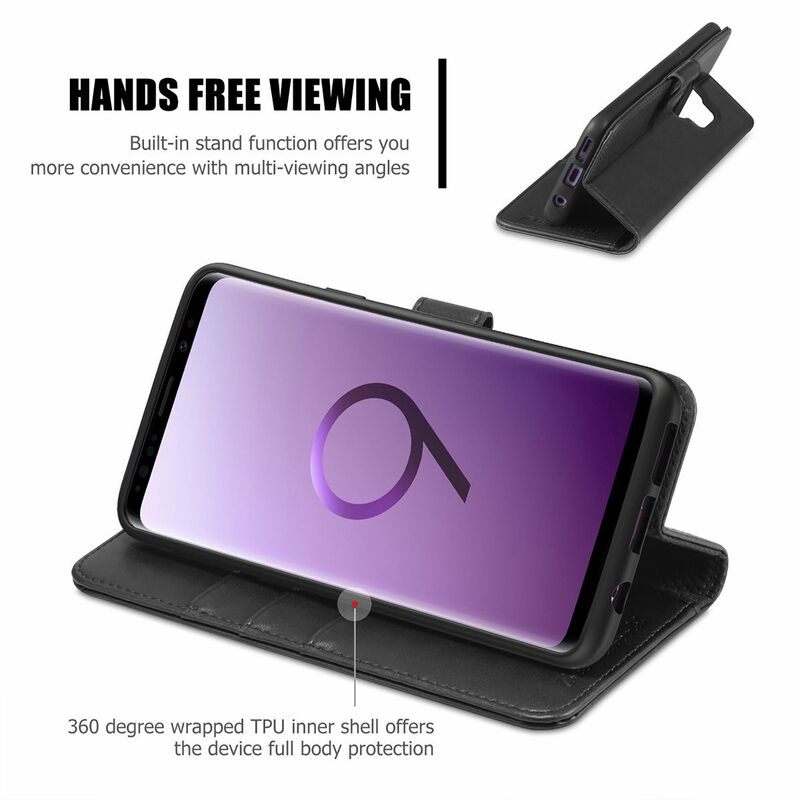 Built-in stand function gives you a comfortable video viewing experience. 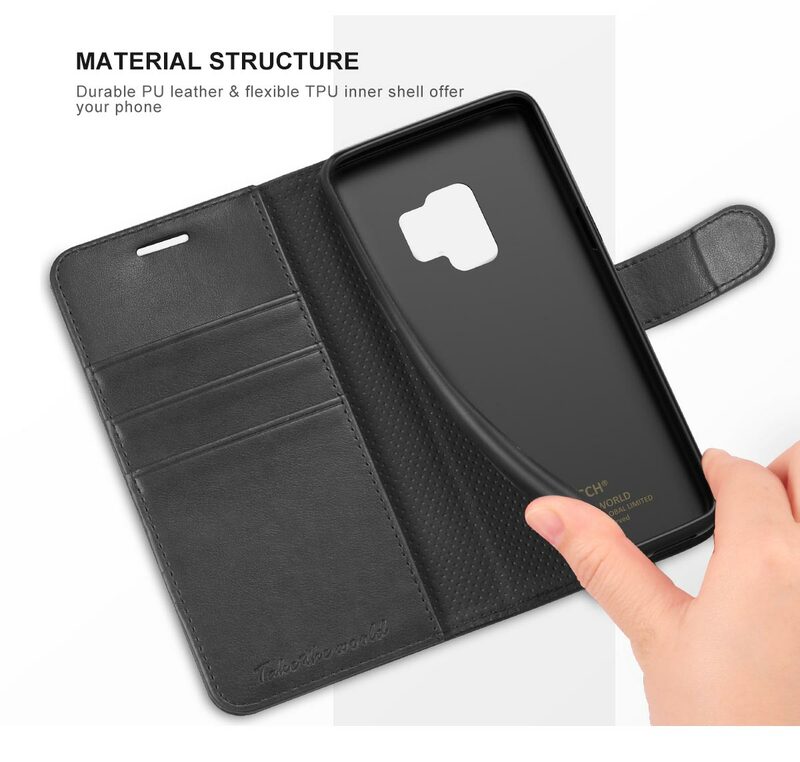 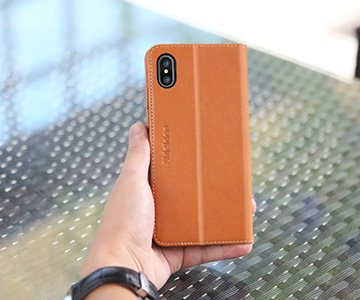 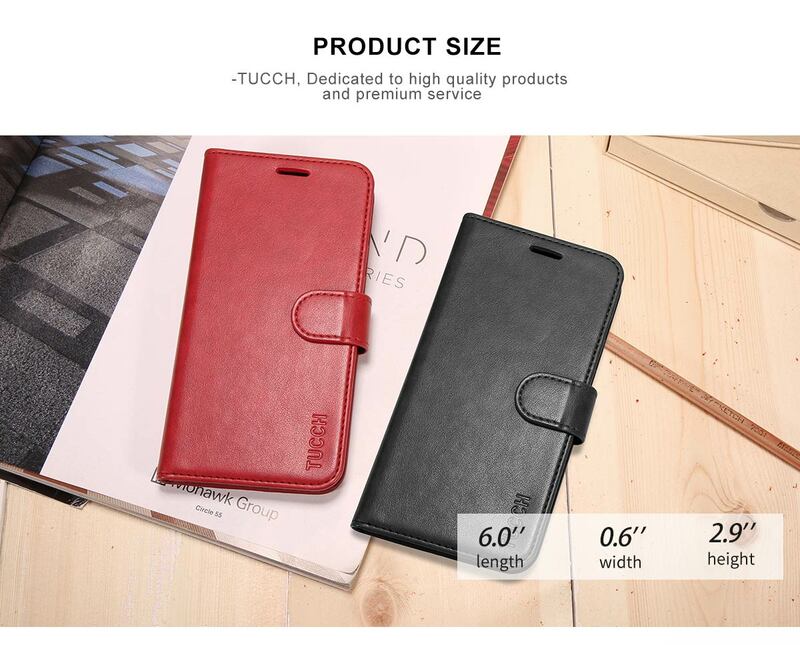 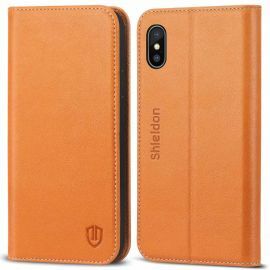 Please Note: This PU leather wallet case is only for Galaxy S9. 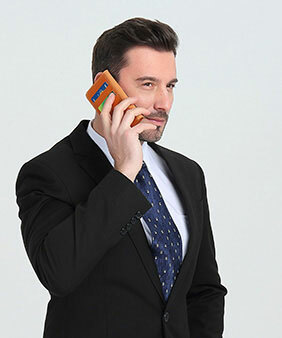 Please check your phone model. 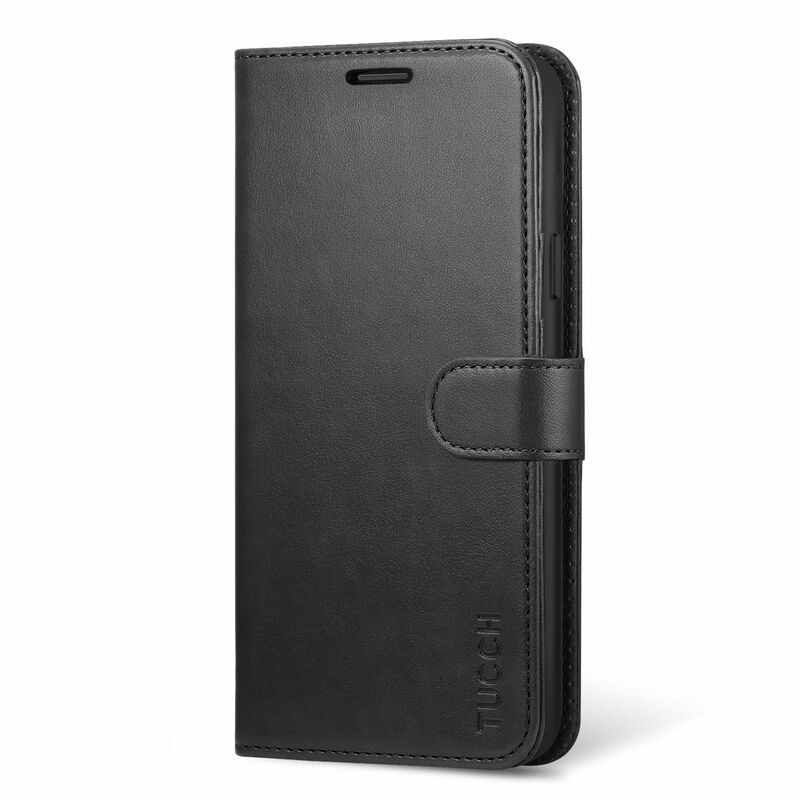 We also have other models available, so if you ever change phones, you can still stay in our TUCCH case family.